Barbara Gargiulo grew up in North Caldwell, New Jersey and attended West Essex High School. She continued her education by achieving a Bachelor of Arts degree from Elmira College, where she continues to be an active member of the alumnae association. She pursued a master of arts in educational administration, which she obtained from Villanova University, in Villanova, Pennsylvania. Prior to starting her career in real estate, her background was early childhood education including being director of St. Peter's Nursery School in Essex Fells. She feels that the experience she gained is a valuable asset to her in real estate when she is working with families with young children. Barbara has been in the real estate industry for over 20 years. 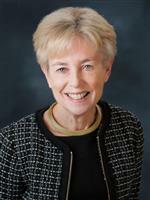 She started her career in the Caldwell area, obtained her broker's license and was manager for Prudential New Jersey Properties, Degnan Boyle Division, Caldwell Office. She was recruited by Jay Schweppe to join his boutique firm, recognized for the high level of success in being the number one producer in the area. Schweppe and Company was bought out and became part of Burgdorff, then Coldwell Banker. At all three companies, Barbara was consistently recognized internally as being one of the company’s top producers. 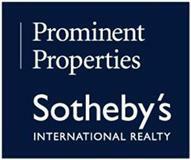 In December, 2010, Barbara joined Prominent Properties Sotheby's International Realty, which she believes gave her the opportunity to provide an even higher level of service to her clients. She has always prided herself on the dedication she gives to every buyer and seller she works with, whether a first time buyer, or a past client who is looking to upgrade to their next home. Her expertise and knowledge give her the tools to provide her clients with the best advice to make the best decisions in this fast paced real estate market. Barbara has been a consistent member of New Jersey's prestigious Circle of Excellence club every year she has been in the business, at the bronze, silver and gold levels having achieved the silver level during 2017. Barbara does an average of 24 transactions per year. She has also been recognized as being one of the 25 top producing agents for Prominent Properties Sotheby's International Realty and as a Five Star agent by New Jersey Magazine.